A fantastic idea, that’s what it is! 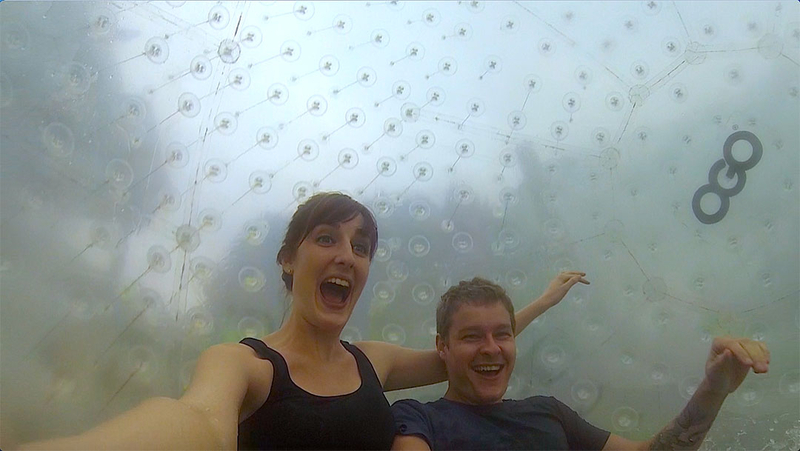 Hopping inside a giant inflatable plastic ball and then getting rolled down a massive hill. Well, you don’t need to tell me twice! 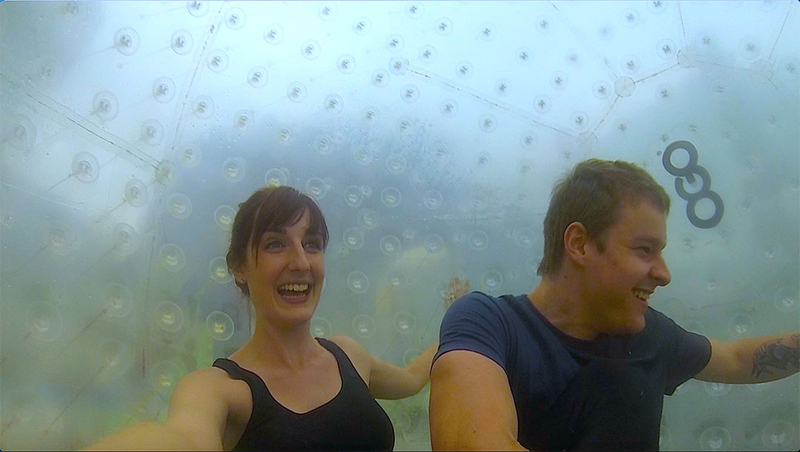 On one of my many adventures across the ditch to the beautiful country of New Zealand, I was lucky enough to try out zorbing with OGO Rotorua. 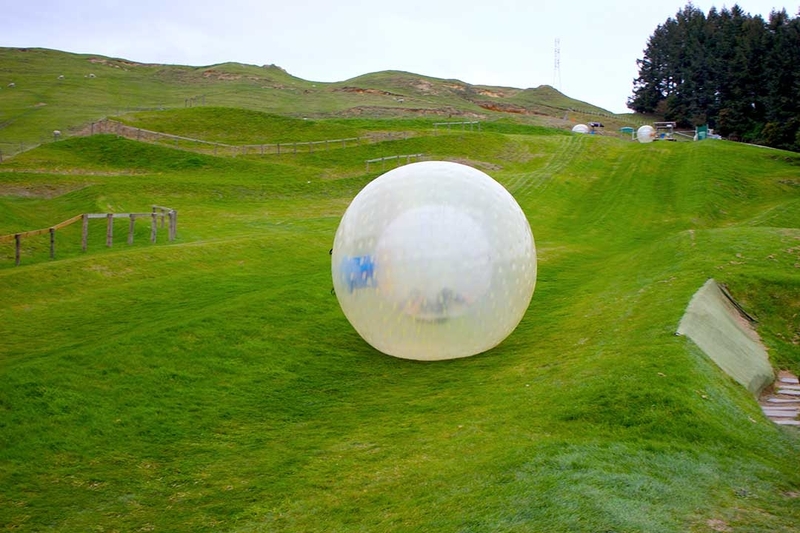 Located just a 9 minute drive from the centre of Rotorua, or accessible by public transport, this is a fun activity not to be missed! There’s a few different ride options, so you can pick what suits you best. There are both dry and wet options, with the dry option having you harnessed in as you flip head over toes all the way down to the bottom of the hill. As my stomach probably wouldn’t handle that (damn you stomach! ), we chose the wet option. 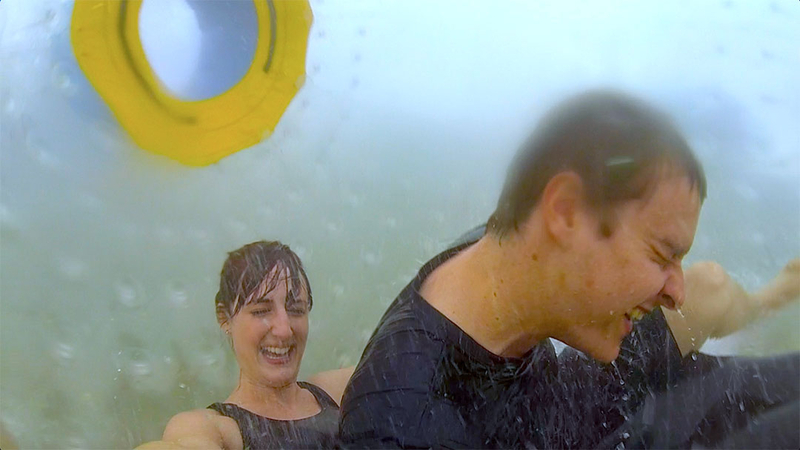 Being winter, 40 litres of warm water was poured inside the giant inflatable ball with us so we would slide around all over the place as the ball rolled down. 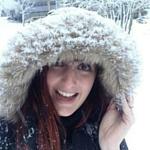 Excuse the ridiculous clothing choices we made… we didn’t bring swim wear and had to make do on the day! 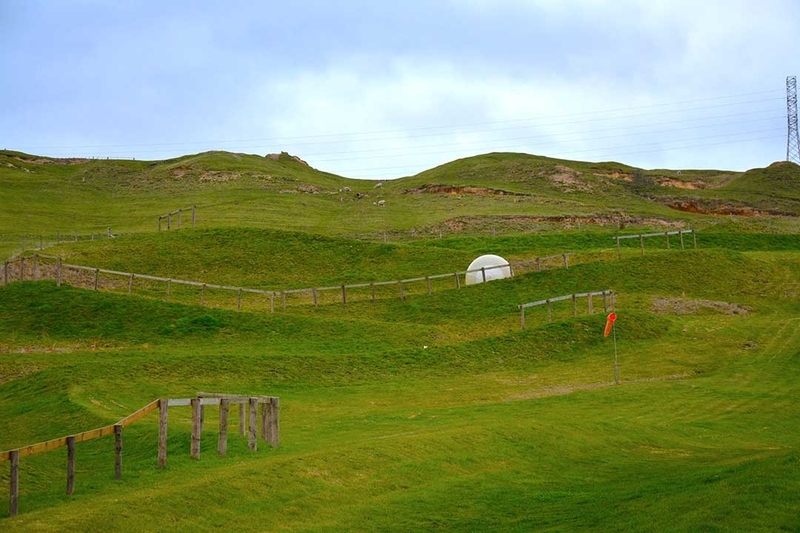 There are two tracks the OGO balls follow. The first is straight down the hill – these guys don’t muck around! Dive right into the ball, and speed down the 250 metre track as you try to figure out which way is up. 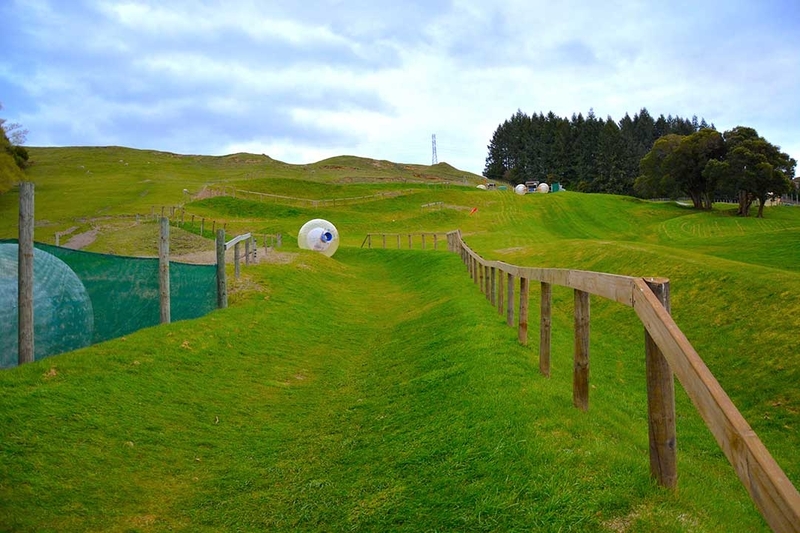 The H2OGO sidewinder track is even more exhilarating at a huge 350 metres (the world’s longest zorbing track!) complete with 6 massive corners for you to wizz around getting soaked in water. Thanks to the fantastic staff at OGO Rotorua who generously gifted this experience to myself and my partner! 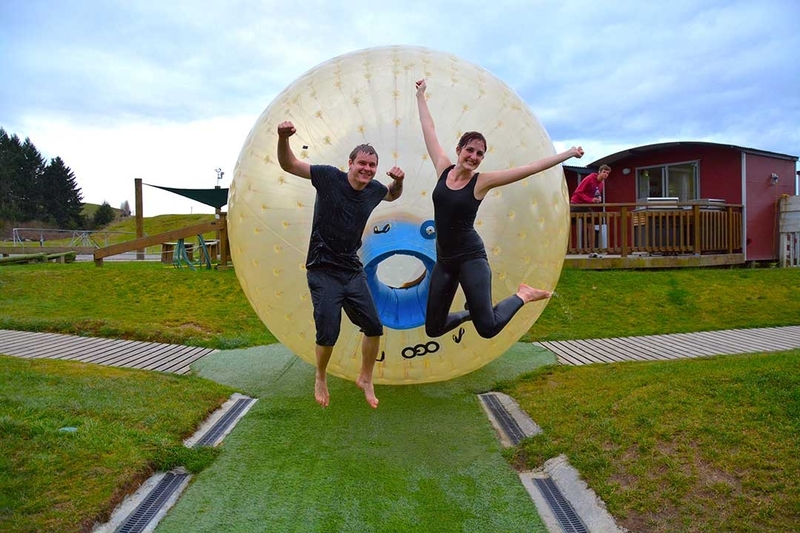 If you’d like more information and to book your own OGO adventure, check out their website here! Previous Post Top 3 Countries to go White Water Rafting!